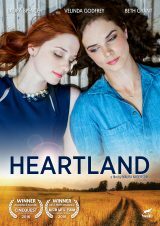 “Heartland” tells the story of Lauren, an artist living in suburban Oklahoma, who has moved back home with her mom, Crystal, following the sudden death of her girlfriend. The relentlessly chipper Crystal assumes her daughter is headed back to the straight and narrow, but Lauren is only paying lip service to her mother’s plans to stave off the pain of the recent tragedy. Posted July 19th, 2017 & filed under Movies.